Elk, moose, glaciers, and bears…oh, MY! The 415 square-mile Rocky Mountain National Park is the most visited National Park in Colorado, and for good reason. The abundant wildlife and jaw-dropping, beautiful scenery quickly rocket it to the top of the ‘must see’ list for family travelers in the state. Your family may be the casual day-trip variety. 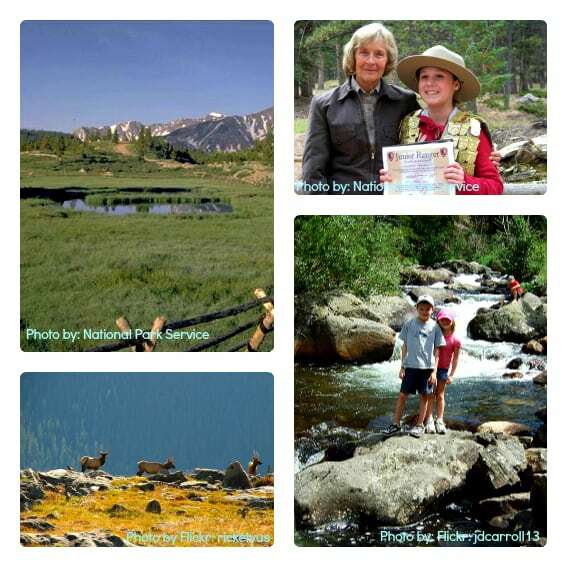 Or perhaps you are the hard-core, hike-in camper types with a goal of tagging Lone Peak, one of Colorado’s famed “14’ers.” For all variations of families, the Rocky Mountain National Park offers so much natural beauty to see and a plethora of activities to do. 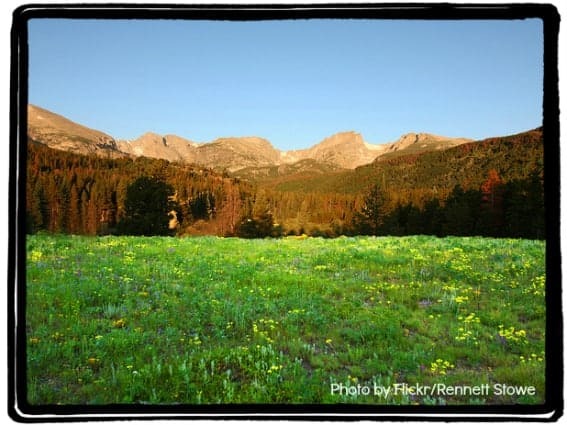 Do you want to camp on your visit to Rocky Mountain National Park? Trail Ridge Road is the primary road that passes through the Park with end-points in the towns of Estes Park and Grand Lake (each worthy of exploring on their own). A crest at over 12,000 feet in elevation provides absolutely spectacular views of the Rocky Mountains. If you plan on visiting prior to June and want to travel the road from one end of the park to the other, check the park website first to ensure that the snow is clear and the road is open. You can drive in on your own, or take one of the park’s free shuttles to a number of hiking trails and scenic points. The park has five separate visitor centers that highlight the ecosystems and features in the area. Moraine Park Visitors Center is a popular family choice as it offers both a museum and nature trail for hands-on, active learning. 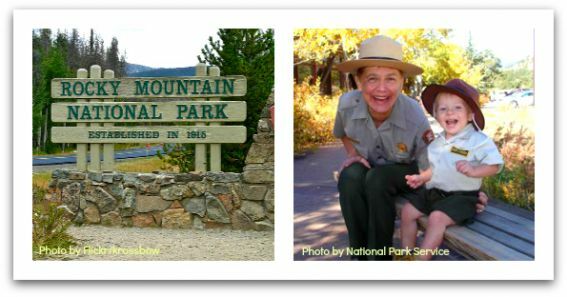 Kids can even become Junior Rangers by picking up a book of park activities at one of the visitor centers, completing a certain number of activities with Park Rangers, and receive a Junior Ranger badge! The park features hikes and trails from easy to rugged and each of them offers a different perspective of the delicate ecosystem thriving there. Bear Lake is a gentle, half-mile hike for a family with young children, or little ones in strollers, as it is paved all the way around. A slightly more rugged, but popular half-mile hike, is to Alberta Falls, which explodes with color in early fall. In addition to a couple of layers of clothes in case of fluctuating temperatures, be sure to pack binoculars for your trip, as it’s almost guaranteed that you will have the chance to spot some of the wildlife that calls the park its home. While elk, mule deer, marmots, pikas, wild turkeys, and dozens of other bird species are among the most common, moose, bighorn sheep, and black bears occasionally show their faces too. So, keep a safe distance, but be prepared to make lasting memories with your family! 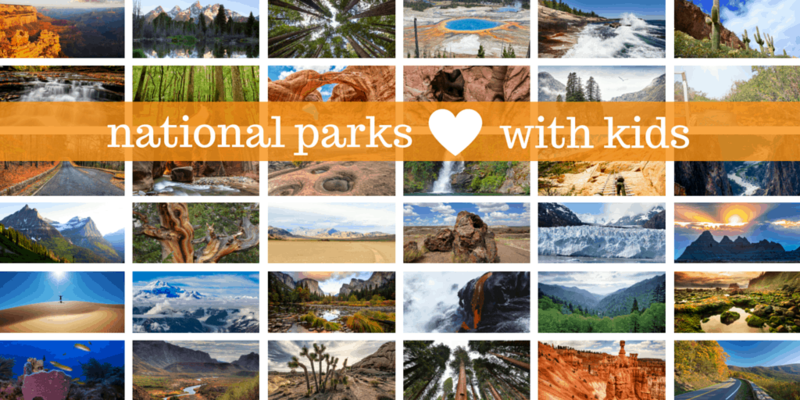 What are your favorite tips for exploring our national parks?